It is time for Malala Yousafzai to start considering colleges for the next phase of her education. However, here the queen of education seems to have run into a little snag. 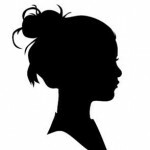 Though she has her eyes set on Stanford University in California among other institutions, Stanford has demanded that she demonstrate herself to be academically adept as per US standards for college admission. Not quite interested in her stature as the youngest Nobel Laureate, the university, which ranks number third in the world, has demanded Scholastic Aptitude Test (SAT) scores from Malala. SAT is a specialised test of academic skills in the areas of reading, writing, and math required for applying to admission to US colleges. SAT does not ‘pass’ or ‘fail’ a person but judges aptitude. The maximum score one can get is a 2400. In the US, SAT is a huge deal for a high school student who is aspiring to get into a prestigious university like Berkeley, Stanford or Yale etc. It isn’t easy to get even a 2000 score on a SAT test. Even apart from the SAT test, the stakes are really high for anyone aiming for Stanford. The SAT test can be taken anytime during the sophomore, junior or senior high school years and the score is counted along with overall academic performance to make admission to a good university possible. This year alone, 42,167 people applied for admission to Stanford University out of which only 2,138 actually succeeded in getting admission. Considering this, if there are questions raised as to why Malala should be granted a waiver on her SATs, it is no surprise. Stanford is apparently demanding that Malala Yousafzai take the SATs before applying, because what's a Nobel Peace Prize, anyway? "sure, she is the global face of the female education movement and stood up to the taliban by herself, but how's her reading comprehension?" There are arguments that Malala has done really well on her SAT equivalent testing in the UK and that those grades should suffice for admission eligibility. But then, if she has really done so well on her UK SAT equivalents, then she shouldn’t have trouble acing the US SAT either. On a personal note, all students who are aspiring to enter a really sought after college must be academically assessed on an equal footing, Nobel Prize or no Nobel Prize. Also, making sure she enters a university like Stanford on the basis of merit rather than ‘unusual circumstances’ will cement her respect in the eyes of her peers and will garner more respect for her in the long run than she would be able to muster otherwise. After all, if she is the global symbol of women’s education and a resonating voice for girl’s education, she has to hold that flag up high. 1. What the writer fails to understand (or convey to the readers) in her piece is the lack of existence of any implicit or explicit claim by Malala that shows that she wants university admission requirements waived because she has a Nobel Prize. 2. Not even one instance in her article, the writer gives evidence to support that Malala tried to apply to Stanford and showed resistance to taking the SAT. That said, she has taken the UK equivalent of the SAT AND scored well in it. Not sure if that is her case but if it were me I would try to get those credentials accepted at first because why would I waste my time on another similar test (unless absolutely required in which case I shall comply) no matter how smart I am? 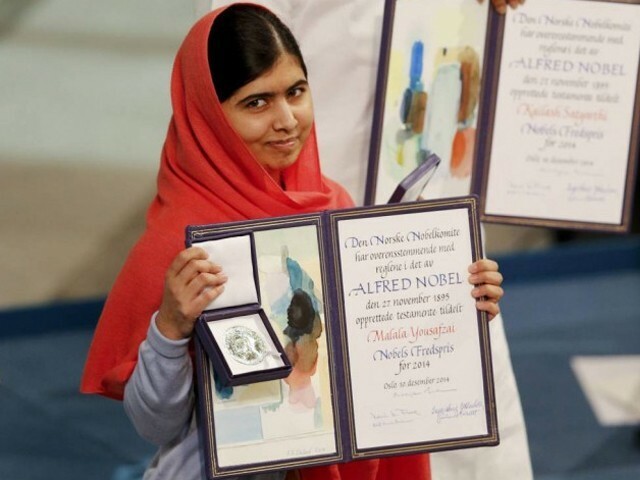 Becoming a global icon for girls’ education and winning a Nobel peace prize for it, is ostensibly no evidence of one’s merit. Mmm-hmm. Ugh please, be more inane, ET. SATs are one measure of a student’s ability to be successful in a competitive university environment. As a U.S. college Adviser, my main concern with students isn’t their grades, but synthesizing their interests achievements to present them as a compelling personality and candidate for a school campus. Therefore, I’m more concerned with their extra curricular activities, internships and life experiences. Malala crushes every other teenager in the world when it comes to the three, which every single admissions committee will know if they’re lucky enough to get an application from her. Regardless, I dont see why Malala can’t take the SATs. She’s done extraordinarily well in her O levels, and I’m sure she’d do well enough to get into Stanford even if she didn’t get the average 2200 or whatever they’re taking these days. Also, i think your author missed the sarcasm in her choice of tweets. Wont comment if she deserves or not but are you saying that people living in third world countries cant pull off straight As? Hehehe! This is the problem with the Muslim world. This is not a unique problem of Pakistan. Scripted speeches at the UN conference-Well 98% speeches at UN are scripted and mind it that Malala’s speech was one of the best speeches of UN. Do you genuinely think a person living 2 years in UK coming from a 3rd world country pull out with straight As? Yes, I do think. Because a number of people coming from third world including Pakistanis have manged get such grades. Seeing this is an article related to an institute of higher education …. “.. ranks number third…” Really?!? How would that use of grammar score in the SAT’s? Q: What is the average and the range of scores of the varsity football players at Stanford University that were both admitted and provided athletic (not scholastic) scholarships? Wait, what’s that? Stanford football players bring in big bucks for the university? And Malala would bring in chicken feed? Really?!? It is not quite correct that students in Stanford are only admitted on basis of academic merits. There are students who get in Stanford on basis of sports. A good example is the legendary golf player Tiger woods. Apropos all people who dislike Malala with their permanent negative connotations towards her in fact promote the anti-women and gender inequality madrasa philosophy. most probably either our future Prime Minister, President or Education Minister, with or without Stanford degree! These 3 women (Hillary Clinton, Caitlyn Jenner, and Malala Yousafzai) are changing the world. They’re also on my premiere week, starting September 8th. than some others who can only dream of it,… in 7 lifetimes. This is a ‘SOUR GRAPES’ article. Reeking of jealousy. remember Bush saying “I am the decider….” man has a degree from Yale ! Don’t know about the Muslim world. But yes, it is a Pakistani trait. The author’s comments below evaporated that hope of mine. Now I’m really lost. If an educated Pakistani woman cannot get what Malala’s campaign is about and labels her a media puppet, what hope does the campaign have. explain? His boiling hatred for Muslims? For Pakistanis? An inferiority complex that goes back thousands of years? I strongly believe all people who believe malala is real and people who write against are just “jealous” for her ,actually deserve an Oscar for being ultra dumb. 1.if you guys use common sense ,does it allow you to think that the western media will ever give fame to a Muslim or a Pakistani girl for being that great . 2.Malala was shot in the head with a bullet,PLEASE TELL ME WHERE IS THE BULLET MARK? 3.seems likes this clown has sworn that she would only speak negative about Pakistan making it look worse than Afghanistan. 4.when ever the drama princess is ready for her circus she wears the most dirty cloths with oil in her head to potray Pakistani people as the most ugliest one . We just a few patriotic people in our country like you. 1. America is a genuine alley with Pakistan. Malala was shot with an invisible bullet which left no Mark. Every one speaking against her are jealous of their fellow Pakistani . in educating you. Students with excellent grades are a dime a dozen. Haha so she’s an agent is she? Wow… Our people continue to amaze me… And as someone said in a post above, Pakistanis/Indians want nothing but to pull each other – Heavens forbid should someone from our country receive some recognition! Ghastly! Why does it bother you what she wears and whether or not she puts oil in her hair? What does that have to do with what she stands for? Would you rather she lose the dupatta, get highlights in her hair, piles on loads of make up and sheds some clothes? Will that make her pretty enough for you? Miss kamal,you sitting there in London assume too much of people living in Pakistan.you guys have zero knowledge about Pakistan ,yet you guys assume that people in Pakistan are still too uneducated and lack moral value you guys on the other hand settled(bbcd) in UK have achieved everything in life and you guys and comment and look down on fellow Pakistanis. “3.seems likes this clown has sworn that she would only speak negative about Pakistan making it look worse than Afghanistan.” And this what someone would say if they are ignorant of what malala has been saying. Ok, so somebody who can shoot a ball in a hoop can be given admission regardless of SAT scores but this phenomenal human being who won the NOBEL PEACE PRIZE can’t?